➗How is the HOI calculated? 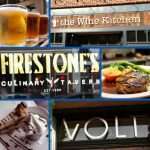 Should I Rent or Buy in Frederick Maryland? 1. Do you have savings? 2. How much debt do you have? 3. How is your credit score? 4. 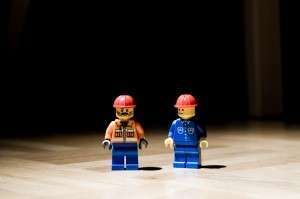 Is your employment situation steady? 5. Are you going to be around for a while? ‍♂️6. Are you ready for the responsibility? Have you saved money by putting off your home purchase? Is This the Right Time to Buy a Home in Central Maryland? RENT VS BUY. 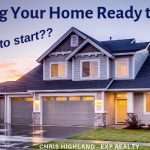 Is 2019 your year to buy a home? We’ve spend 26 years helping people in Central Maryland answer that question. Usually, the answer is based both on math and economics, and on your personal situation. First, lets talk about the math…affordability. What exactly does the term “Affordability” mean? The National Association of Home Builders (NAHB) and Wells Fargo have been calculating the Housing Opportunity Index (HOI) for more than 30 years. The surveys are released quarterly and take into account two things, income and housing. The survey covers 237 metropolitan areas across the U.S. as well as the national averages. According to the latest HOI survey released on May 10th, 2018, rising wages have offset rising home values and interest rates, boosting housing affordability. The housing cost calculation takes into consideration the price of homes and the interest rate. Today’s low-4% rates have made a huge impact on housing affordability. “Average mortgage rates rose by nearly 30 basis points in the first quarter to 4.34 percent from 4.06 percent in the fourth quarter of 2017.” Remember,these rates are still low compared to historical rates, which average around 7 percent. To understand the impact of interest rates on affordability, read this handy chart: Interest Rates and Home Affordability. For income, NAHB uses the annual median family income estimates published by the Department of Housing and Urban Development. They use the figure of 28% of gross income as an average amount home buyers can afford to spend on housing. 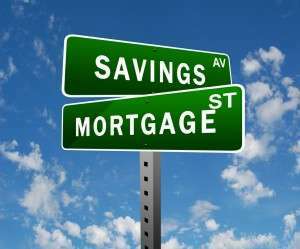 Divide the 28% of average income by 12 to come up with a monthly amount allowable for a mortgage. Keep in mind that FHA limits are 31% for mortgage costs. When explaining housing affordability, remember that local markets are different. While the National Affordability Index is at 61.6%, the local markets vary. 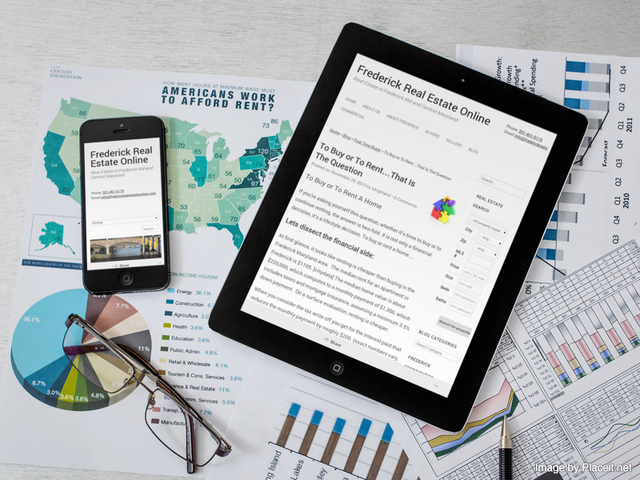 Frederick is a sub market of Washington D.C., which has an affordability index of 70.6%. The median income for the D.C. area is $$112,792, the median home price is $560,000. 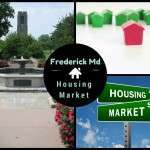 The median income for Frederick Md households is $65,967, according to Google, and the median home price in Frederick is $325,000. Incidentally, without an exact number, I’m willing to guess that the affordability index for Frederick is similar to Washington D.C., Rockville and Bethesda, primarily because of home values. Hagerstown-Martinsburg MD-WV HOI is 84%. The median home price is $149,000; the household income is $55,862. Incidentally, the MOST affordable area is Cumberland Maryland, where 98.5% of households can afford the median priced home of $80,000. Buying a home is not for everyone; sometimes it’s a good idea for a particular time, sometimes it’s a good idea to wait, and sometimes people shouldn’t buy. Here are some facts and stats to help you decide when it’s a right time to buy or rent. Whether to rent or buy a home is a personal choice, based on a lot of variables. Sometimes it involves more than just numbers. 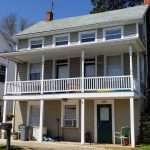 Home values were declining since the Frederick Real Estate market peaked in 2006 until the summer of 2012. The first 2 years of decline in home prices were in the double digits, but the next 2 years have slowed to less than a 5% decline. Then we saw the leveling off of home values here in Frederick County, and since 2014, we’re experiencing increases increases in the area. Homes above $600K are increasing at a slower pace than homes priced under $400K. It’s still a bi-furcated market. Given the fact that Frederick County is very affordable, compared to metropolitan areas nearby, and given the fact that home values are on the rise, let’s establish that it is generally a good time to get into homeownership. The real questions you must answer are about your personal situation. For some people, buying their home makes the most sense, and for others, renting is best. It is a well-known fact that for most Americans, owning a home is the main vehicle for building wealth over time. You have to live somewhere, right? When you are paying rent, you are paying someone else’s mortgage. Even though there are a number of zero down payment programs, you must plan for closing costs and many other one-time expenses as a homeowner. Insufficient savings may not prevent you from buying a home but it is a strong indication that you may not be prepared for the ongoing financial requirements of homeownership. How much should you have saved? It depends on what price range you are considering, as well as the loan you will be using. With an FHA financed loan, you will need to have 3.5% for a down payment. 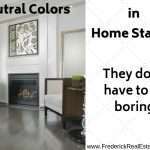 On a $325,000 home (average in Frederick) that is $11,375. You will have some other expenses, like the home inspection, typically $400 to $500. You may have some closing costs, like origination fees, and fees from the title company, typically 2% to 3% of the purchase price. Sometimes buyers can negotiate with the seller to pay closing costs, but its best to be prepared. How much do you need for a downpayment on a home? For most first-time buyers, FHA loans are a great choice, with low-downpayment and common sense qualification criteria. But there are also conventional loans and VA loans to consider. The downpayments will vary with each loan and each lender. A lender will calculate your debt-to-income ratio, which is different for each loan product. Your debt-to-income ratio is all your monthly debt payments divided by your gross monthly income. A conservative number to shoot for is having a mortgage that is 28% of your income. This is called the front-end ratio. Most mortgages have a maximum back-end DTI ratio of 43%. The back-end ratio takes all your debt into account. You can do a quick calculation and decide how you fare in the category of debt. To calculate your debt-to-income ratio, add up all your monthly debt payments and divide them by your gross monthly income. Your gross monthly income is the amount of money you have earned before your taxes and other deductions are taken out. If you are thinking about a home purchase you’ll want to plan ahead to minimize your debt. You’ll want to consider foregoing a new car purchase. You’ll want to pay down your credit cards and pay off some debts. Your credit score is an important asset. Your lender will consider your score as an indication of your credit worthiness. Typically, the higher the score, the lower your interest rate. Additionally, your credit history is important. While you can always find a lender to lend you money, solid lenders are more skeptical if your credit history is not good. Minimum Scores. While FHA and Freddie and Fannie have minimum scores, (A minimum of 580 is necessary to make the minimum down payment of 3.5%.) many lenders have their own requirements. 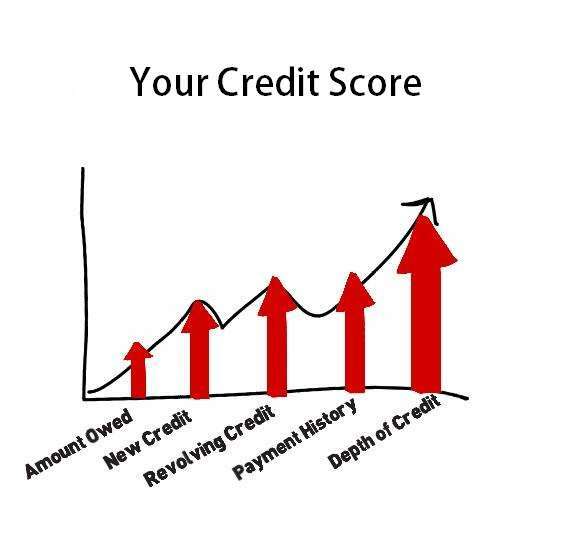 (FICO credit scores start at 300 and go up to 850.) Most lenders require a score of 620 to 640 to qualify. The higher your credit score, the lower risk you are. The lower risk you are, the lower your interest rate. Shoot for a high credit score, not a minimum score. While we can never predict the future, you probably have a sense of your job or business security. If you’re working for a start-up company, you probably want to wait for a secure situation. The last thing you want is to saddle up with a mortgage and then find yourself unemployed, or underemployed. Again, we can’t tell the future, but you’ll want to be sure that you can stay in your home for a minimum of five years. If you expect to get a job transfer within a few years, you may end up paying money in order to sell it. 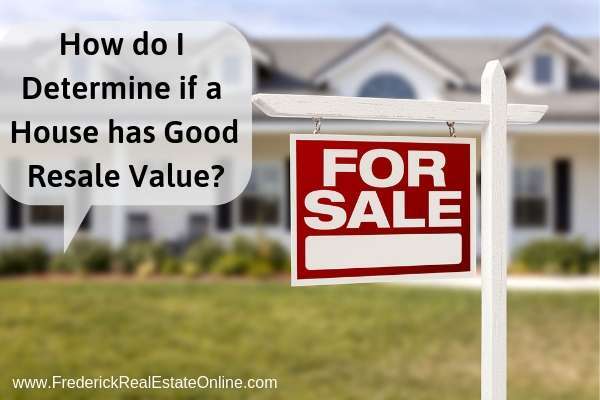 You’ll want to make sure your home value increases enough to cover the costs to sell your home. The length of time that it will take to cover those costs depends on various economic factors in your area. Currently in Maryland we’re seeing an average of 3-5% appreciation per year. This is considered normal and healthy and will cover buying and selling costs in about five years. If the area you buy your home in experiences an economic up turn, the length of the time to cover these costs could be shortened, and in the unfortunate circumstance of an economic downturn, the opposite is also true. How long will the home meet your needs? What features do you require in a home to satisfy your lifestyle now? Five years from now? Depending on how long you plan to stay in your home, you’ll want to make sure that the home has the amenities that you’ll need. For example, a two-bedroom home may be perfect for a young couple with no children. However, if they start a family, they could quickly outgrow the space. Therefore, they should consider a home with room to grow. Could the basement be turned into a den and extra bedrooms? Could the attic be turned into a master suite? Having an idea of what you’ll need will help you find a home that will satisfy you for years to come. There are costs and responsibilities with homeownership that most renters are not accustomed to, things the landlord took care of. Home insurance, home maintenance and repair, appliance replacement, and home maintenance and repairs are all important considerations. Most experts suggest you save 1% of your home’s value every year. Saving for long-term projects, like replacing the roof or the HVAC system, will save you the emergency of the cost of replacement when there is a sudden breakdown of a major system, or the inevitable replacement because of age. Your home is probably the most expensive purchase you will make in your lifetime. It is a place to build your nest, both figuratively and literally…your financial nest egg. You will want to take care of the maintenance of your home regularly to maintain its best value throughout the years you own it. Once you have crunched all the numbers, considered your financials and future employment, the decision is really about lifestyle. For most Americans home ownership is the most likely method to build wealth. It is also the way to create a lifestyle that best suits you and your family. Those intrinsic desires are best accomplished in your home…paint the walls the way you want, plant a garden, get a swing set, and enjoy the freedom to build a nest, both financially and metaphorically. 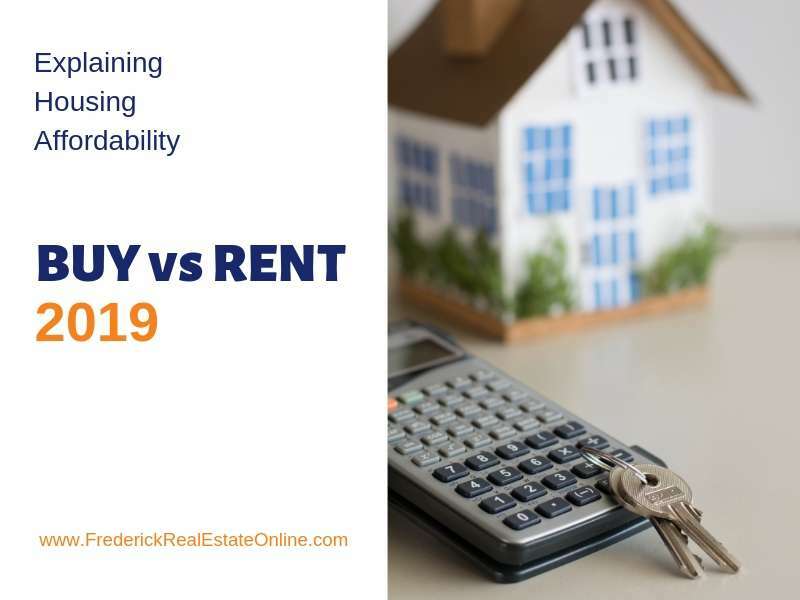 Rent vs buy – explaining housing affordability, we hope it helps with your plans! If 2019 is your year, give us a call and we’ll help you find your nest. Contact us for our preferred list of lenders. We can find a loan program that fits your situation. Should I rent or buy in 2019? 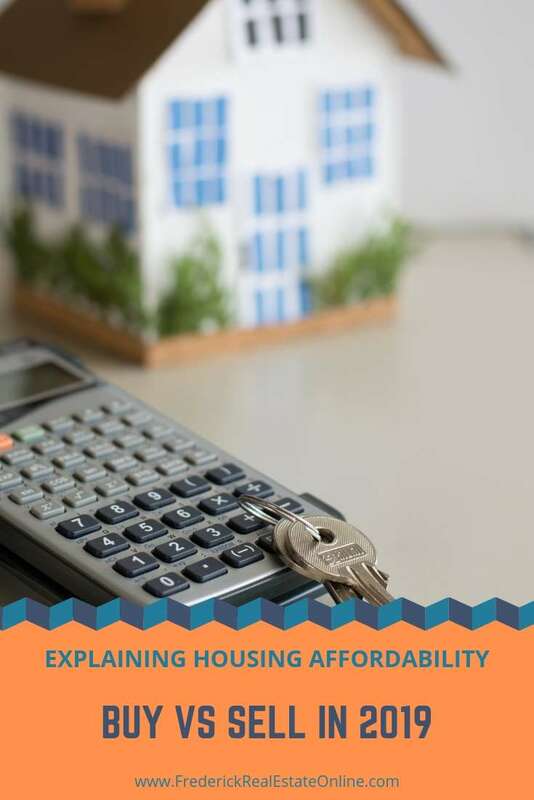 This article goes into depth explaining housing affordability, remember that housing affordability varies by local markets. Plus six questions to help determine if the time is right to buy a home. 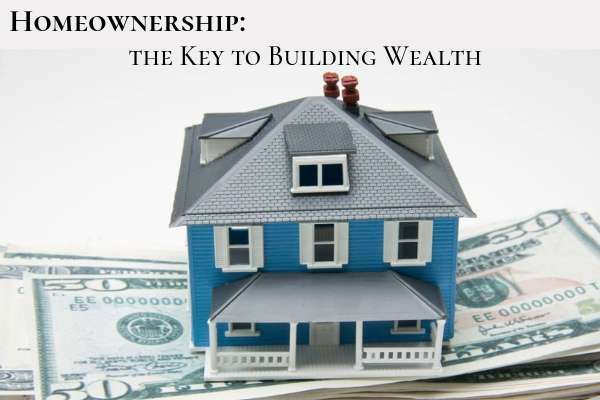 Previous Post: « Is Home Ownership Necessary to Build Wealth?